I thought of that story when I read the June 17, 2010 Speaking of Faith Newsletter from American Public Media, where Krista Tippett writes of a recent program on the spirituality of parenting. She writes: “Raising a new human being in this world is a monumental spiritual task, yet we so rarely call it that.” Tippett reminds parents and each of us that the experience of raising children does not get easier when children become “little theologians and philosophers asking the basic questions about how we got here and where god lives and why people die and why people hurt each other and what it means to be good and to be happy.” Any of you who are parents, grandparents, ministers and teachers have stories of the astounding wisdom and depth of the questions children ask. Their questions and the responses they receive from the adults in their lives are the beginning of their religious world view, and form an ethics and morality for living. Ms. Tippett’s guest for the program was Rabbi Sandy Susso, author of God’s Paintbrush. People who have used this book with their children report that it makes it possible to think about God in a personal way and to ponder God’s personal relationship with each one of us. The book would be valuable for people of any faith background. In case you are intrigued with the information in the newsletter, and want to read more, click here to visit the program, or click here to register for the free newsletter. A miracle at our monastery! 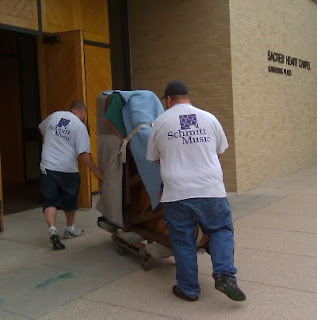 Several of us musicians, accompanied by Ed Turley of the CSB/SJU Music Department, traveled to Minneapolis several weeks ago to look at and, with luck, to select a Steinway upright piano for our chapel, replacing the one in use. Our space and our budget, made possible through a few very generous donors, limited us to an upright. What we didn’t know was that there was a 5’4” Steinway grand for resale that was just waiting for us to select it for Sacred Heart Chapel! How did we recognize it—by sound and sight. The sound is mellow and resonant and beautiful; the wood is walnut. Our chapel has a classic simplicity and the wood is light. The piano was built in the mid-1980s but had been played only rarely over the years. We think it is no coincidence that our chapel was renovated in the early 80s, and that our Noack organ was built and installed in the mid-80s. Together these kindred instruments will surround and enhance our liturgical celebrations with beautiful sound. 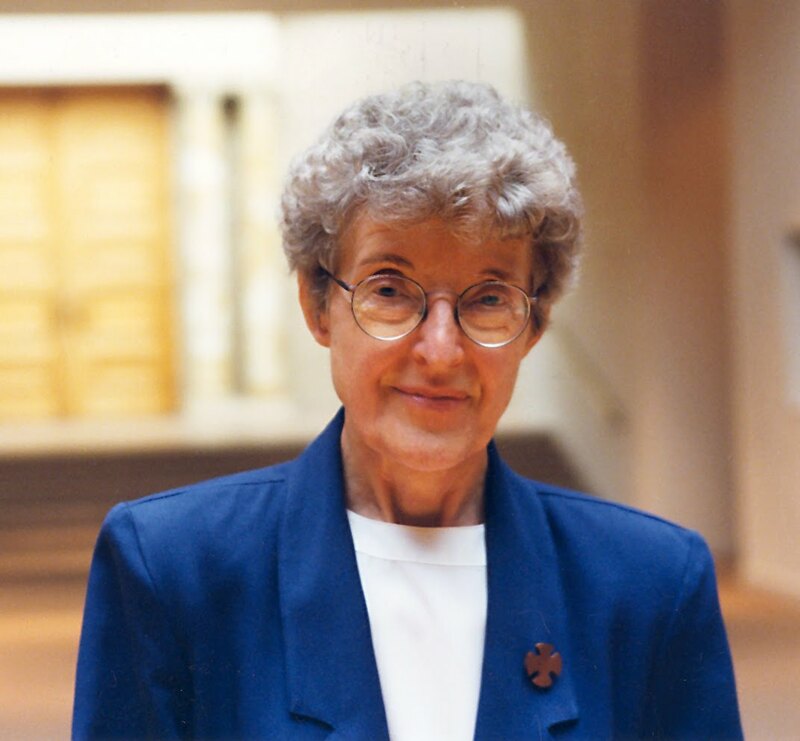 Someone who is certainly celebrating with us in eternity is Mother Willibalda Scherbauer, our first prioress, an accomplished pianist and organist. She is remembered as hoping that the Sisters’ liturgy in the new Minnesota foundation would become as beautiful as what she had known in the monastery in Eichstätt, Bavaria. 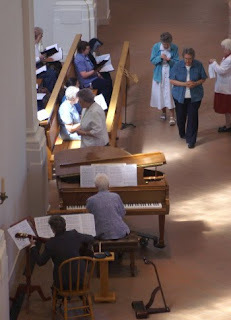 There is no doubt that music is an integral part of our community worship—Liturgy of the Hours and Eucharist. At almost any time of day as you pass by the rehearsal room, Sacr ed Heart Chapel, or the oratory you are almost certain to hear someone practicing—cantors, organists, pianists, schola; or the entire community learning a new hymn or antiphon. We take comfort, however, that Benedict said his rule is for beginners (73). No matter how many years we have been praying together, we can always begin anew. And now we have a piano with a beautiful tone to assist us in our prayer. Mother Willibalda, we wish you could have accompanied and performed on a piano such as we now enjoy in Sacred Heart Chapel. photos: Above, S. Dolores Super plays the piano during the Eucharist on Sunday, June 20, 2010. She is accompanied by Elisa Ugarte on guitar and the monastery schola. Below, movers bring the piano into Sacred Heart Chapel. 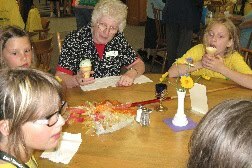 Monday through Wednesday of this week the Sisters are holding the first of two summer camps. 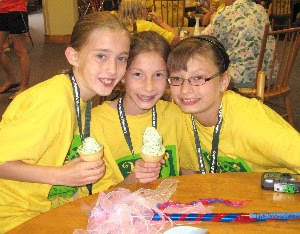 The Benedictine camps, "God, Girls and Good Times," are for girls in 4-5 grade and 6-8 grade. Yesterday, the counselors had a session with their campers on Benedictine values. "Stewardship, because I really love the earth and want to take good care of it." "Peace, because even though I fight with my brother sometimes, I really want to be a more peaceful person." "Listening, because I like to listen to other people and I think it helps them because I'm a good listener." "Hospitality, because I think it is like respect. I want people to respect me and so practicing hospitality is a way of giving them repect." We wish the campers and counselors all a transformative and positive experience! To learn more about Girls, God and Good Times, click here. Since March I have been working at Starbucks. I remember coming home at first thinking, “Oh my God, what have I gotten myself into?” There was so much to learn and do: marking cups, calling cups, running a computerized cash register, working 8 hours with a headset, people constantly giving orders, getting up at 3:45 to go work at 5 am and working with a student culture. In my discouragement, Sister Katherine Kraft asked me about the grace of working at Starbucks. Here is what I’ve experienced. 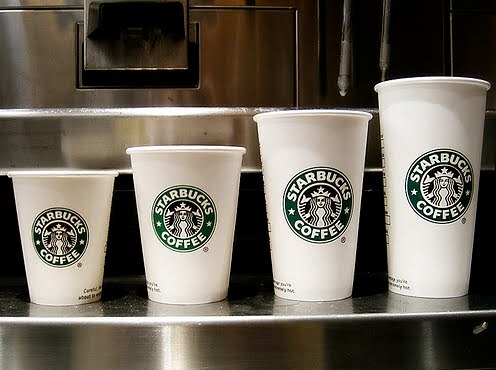 Starbucks’ mission is to be third place in every person’s life. Family first, job second and Starbucks third. And for many homeless and Vietnam vets, Starbucks is a community where they belong. Every day at 5:30 am, two lonely men are at the door for their coffee and connection with those of us who are open. When they don’t come in, we check up on them. Every day the Vietnam vets come in for coffee and fellowship. It’s really not about the coffee; it’s about the connection and being seen and recognized. Sounds pretty Benedictine to me. I punch in at work on a time clock and have two 10-minute breaks and a 30-minute lunch break. I work for minimum wage at an entry level job. I work with students/young adults who are trying to survive on this income, including a brilliant partner who is taking classes part time because he can’t afford to go full time. I admire my partners for their hard work and dedication to Starbucks and their customers. Being out in the world and rubbing shoulders has given a new fresh look on being a “Sister.” The partners I work with are very curious and ask me a lot of questions about the monastery. Do you wear a habit when you go back to the monastery? Why do you give your paycheck to the monastery? Can we visit? What is the difference between a convent and monastery? I didn’t know nuns could work in the world. Slowly my partners, mostly through my weaknesses, have come to realize I am not pious but human, make mistakes, get frustrated, have a sense of humor and struggle with transition and learning a new job, as well as a lack of confidence at learning this new barista skill as a middle-aged woman. As a result of my work, a scholar-in-residence at the monastery and I met with two young barista women at the Local Blend in St. Joseph and talked about their spirituality and lives. They said, “We aren’t religious, but can we do this every month? There is no place or person with whom we can have these conversations.” I brought a young man to prayers who told me he prays the Liturgy of the Hours every morning and has a graduate degree from Notre Dame in Latin and Greek. He asked me, “Can you hook me up with a spiritual director?” One of the women has been having stomach problems and tests for the last two years. She asked me if I can teach her about mediation and prayer, because the doctors think her problems are stress related. Many ask, “When do when get to meet the Sisters?” One of the Vietnam vets told me after his cancer surgery he is going to go back to Church because his life works better with God. No tracts, no Bibles, just serving coffee and engaging and caring about people. Many of us try to interrupt the pattern of our lives during the summer months and create spaces that allow us to reset the way we want the rhythm of our lives to unfold in the days ahead. Some call it vacation. Maybe your “get-away” time includes patches of “alone-times,” times that “take your breath away,” times that just slow down your breathing and get you in touch with what’s happening at the center of your being. Within the monastery our summer rhythm includes retreat opportunities. Often these focus on Scripture, community living, prayer etc. Retreat /quiet times have a way of letting me sink a bit deeper into what matters. The quiet lets insights bubble up and speak to me from somewhere inside, where they have been incubating. They must have been waiting for my words to recede into silence so they could have a turn to be heard. I love the image Brother David Steindl-Rast uses to describe retreat/quiet time. He says these days allow our roots to sink deeper into the nurturing soil of God’s presence and hear messages that are unique to our true self at this moment. He suggests that this “going deeper” allows our taproot to be lengthened and strengthened. 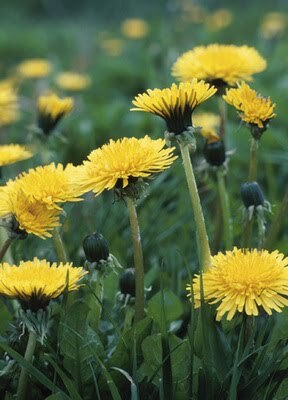 He goes on to say, it’s a bit like a dandelion with its long taproot. If our taproot is strengthened, when future events come along that figuratively “knock our heads off,” our true root allows us to keep “coming up” and blooming again. Because I so quickly forget the whispers revealed in silence, I’m packing my journal in my suitcase again this year. Each time I re-read last year's entries, I’m surprised at what I find, and amazed at how gently God nourishes my fragile root. This summer I’m taking along the four reflective questions the Jesuit from India, Anthony deMellow, suggests for journaling: 1) These experiences I have cherished, 2)These beliefs I have outgrown, 3)These sufferings have seasoned me, 4) These persons are enshrined in my heart. May our roots have ample time to be nurtured during these summer weeks. Last November I wrote a blog on Monastic Interreligious Dialogue and spoke of the extraordinary experience of Christian monastic women meeting for three days with monastic women of the Buddhist tradition. Little did I know that several months later I would be writing this blog today from a different office wearing a different hat - the hat of administrator for the North American Commission for Monastic Interreligious Dialogue, MID for short. I want to introduce you to an extraordinary and very interesting man: Abhishiktananda. Henri Le Saux, as he was known in his early life in France, was born 100 years ago this year. At the age of 19 he entered a French Benedictine monastery. As a young monk he felt a call within a call and that was to go to India and live out his monastic life there seeking God in the most radical way possible: by total renunciation. And so he became a sannyasi, a renouncer. From then on his name became Abhishiktananda. Along with Fr. Jules Monchanin, Abhishiktananda founded a small ashram, Shantivanam, at which he never really felt at home. He traveled the length and breath of India. Eventually, Bede Griffiths who came to India several years after Abhishiktananda took over the ashram and it still exists today. Eventually Abhishiktananda found peace in the foothills of the Himalayas. Abhishiktananda's search for the Absolute never waivered although for many years he felt a deep tension between his very strong commitment to Christ and his belief in the authencity of the "advaitic experience" (experience of non-duality) in the Hindu tradition. In the end Abhishiktananda believed that "the integration of the advaitic experience into a Christian's own faith is for the Christian a necessary task." Trains and planes and busses wait for no one, I found out when I missed my flight from Johannesburg to Dar es Salaam. I, on the other hand, endured a cancelled flight from Port Elizabeth to Johannesburg and a late flight that caused me to miss my connection to Tanzania. South African Airways recognized the missed flight was due to their scheduling problems and booked me overnight in a hotel near the airport. It was a restful night but a frustrating day of travel since I spent my day trying to re-claim my luggage, while my sister-hosts (Benedictines) waited for me at the Dar es Salaam airport for two nights instead of one. After a day of rest there, my sister companions and I boarded a bus at 5:45 a.m. to travel 15 hours to the Monastery of Benedictines in Chipole: St. Agnes Convent. Riding a public bus is a kind of endurance test because it is hot, crowded, and stops at every small village along the way so vendors have a chance to sell their products to the bus passengers. Roasted corn, sugar cane, potatoes, oranges, pineapples and bananas are all available as are woven baskets, juice, SIM cards, and various sundry items that can pass through the open windows with money passing hands as quickly as the driver’s patience runs out. Bathroom breaks are frequently stops on the side of the road, the lunch break is over in 10 minutes, and everyone scrambles to re-board the bus because it waits for no one. The pitted and rutted road caused slow going. No doubt avalanches and rains washed out whole sides of the roadway and heavy transport trucks and busses add finishing touches to huge potholes. But the main roadway was tame compared to the secondary road from Songea to Chipole. Passing from pavement to gravel is readily apparent as we bounced from one to the other. The bumpy, ruffled road was only 30 km’s but took more than one hour to traverse. So, after 16 and ½ hours of non-stop traveling, we arrived in the dark of night at Chipole and St. Agnes Convent. It was a long journey from South Africa on Wednesday to Tanzania at the end of the day on Saturday. Thank God for my traveling companions—Sisters Gotharda and Alberta---who helped me find my luggage once we stopped and disembarked. Late at night and with hundreds of people arriving at the same time in Songea feels as though one is moving in a sea of humanity. In this sea, however, no one waits for anyone and no one helps anyone. Each person fends for him or herself and fights to make way through the crowd of passengers desperately looking for their bags and at the same time getting past the persistent offers for taxi rides. With this sea of humanity crushing in on me, Sister Alberta told me to hang on to my purse and all my bags. Indeed! I was holding on with all my might! My mission to Chipole: to ask the sisters to partner with St. Benedict’s Monastery in St. Joseph, Minnesota, in hosting young women graduating from the College of St. Benedict, as volunteers in their Monastery. Our graduates want to give a year of their lives to serve others. In the true spirit of an education based on Benedictine and Gospel values, CSB graduates long to give back. What will they do? The sisters at Chipole run an orphanage for abandoned children, educate children through secondary school, staff a dispensary, sustain themselves with farm and gardens, and are trying to educate many of their own sisters. The Benedictine Sisters are as eager to partner with us as we are grateful to have accomplished this mission. What does it mean to be a life-long learner? In a culture that expects immediacy in response to every question, every inquiry, I feel the tension between quick answers and intentional learning. Learning takes time, a lifetime. Learning is transformative. Learning keeps the heart open and certainty at bay. It holds the wonderful capacity to seek forgiveness and open oneself to reconciliation. To be a life-long learner frees one for great exploration of world and cultures as well as to enter into the depth of interior movements of God’s Holy Spirit. To be a learner is to feel the heart swell with gratitude and humility before the awe-some reality of Life’s gifting. I am grateful to have enrolled in Benedict’s school for the Lord’s Service. I have discovered my need for mentors and ammas who will companion me to the threshold of life everlasting. There are many reasons to like the month of June, midpoint of the year. For a starter, June has several major Church feasts: Corpus Christi, the Sacred Heart of Jesus, the nativity of John the Baptist and the celebration of Saints Peter and Paul. Summer officially comes in this month and all of Nature seems to be bursting with life. The month is also special to me because of my birthday on the 24th -- shared with St. John the Baptist. I was curious and checked who else shares this birth month. Some very famous people do/did: Martha Washington, Frank L. Wright, Paul Gauguin, Jacques Cousteau, Pearl Buck and Helen Keller among many others. Great company!! Too bad they’re all dead . . . ah, but great memories. Many Junes have come and gone and I have learned to roll with the punches, as the saying goes. When one reads the headlines and watches the TV news, life can seem quite harsh at times. However, I personally have much to be grateful for, and now that another June is “busting out all over” I am ready to face what it will bring and I anticipate even more gratitude piling up. One of the great delights of being a member of our monastic community is becoming aware of the many talented women we have in our midst. Noting how they each make significant contributions to the church and/or society makes me feel proud to be associated with them. Presently, I am particularly impressed with the rich contributions our hymn writer, Sister Delores Dufner, is making during just this one summer. During the weekend of May 21 – May 24, S. Delores was a speaker in Dallas, Texas, at the Hymn Writers’ Symposium. Some of her texts were featured in that Pentecost Sunday’s Hymn Festival, accompanied by the composer Joel Martinson. Then comes a special event in Duluth when S. Delores will attend the premiere performance of her text, “A Song of Hope,” commissioned by the MCEA (Minnesota Catholic Educators’ Association). This takes place at their annual convention ( August 23 – August 24) and their theme for this year is “We Are People of Hope.” The musical setting is arranged by Michael Joncas and the performance will be directed by Axel Theimer. I received all this wonderful information when I asked S. Delores the simple question, “What will you be doing this summer?” I decided to ask her to give me a written list. How else could anyone keep track of the wealth of contributions she is making?